I’m Aviva Cohen, CEO of Neuro Hero. In 2006, my husband Steve had a stroke; since then I have been working to enhance the lives of people living with chronic illness. About a year after Steve’s stroke, we became aware that he felt excluded when friends and family came over. Despite his communication deficits he made it very clear that he would no longer allow visitors to our home. So we all shared in the isolation he had been experiencing. I quickly realised that social isolation is a common problem for people living with communication difficulties and their families. I started searching for a comprehensive, integrated, therapeutic solution to this problem. The resources that I found were either limited and expensive or required support from a therapist or a training course. Eventually, Steve allowed two cheerful, young speech and language therapists to visit us. Slowly, with their help, he began to re-enter the world. In 2011 I started working on affordable ways to address social isolation for families living with communication difficulties. I wanted to provide home based therapies that could help people like Steve to communicate with the outside world. Together with Speech and Language Pathologists we researched evidence based therapies to help people with word finding difficulties. Our Speech Therapy Talk Around It apps are the result of this research. We are very proud of our accomplishments so far. In September of 2011 Neuro Hero,won a place on NDRC’s three month LaunchPad program. 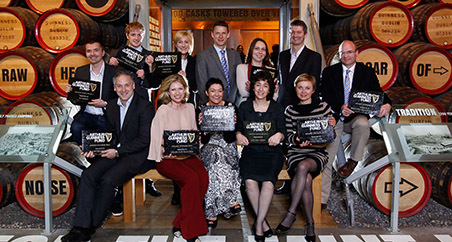 In May of 2012 we received the Arthur Guinness Fund award. This award supports emerging social entrepreneurs to develop their projects by providing the resources they need to make a difference. 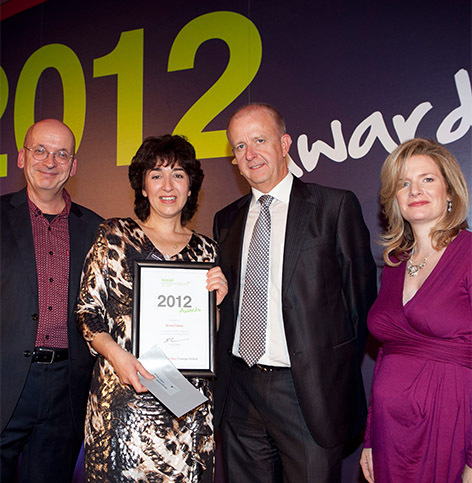 In October of 2012 we received the Impact award from Social Entrepreneurs Ireland. This award helps high potential social entrepreneurs to refine their solution, become effective leaders and increase their impact. Aviva became a Gifted Citizen in November 2015 in Puebla, Mexico. Gifted Citizen’s are a community of people with extraordinary ideas, active passion and who significantly help to benefit other people’s lives. In July 2016, Neuro Hero was awarded the Jurors Mention award at the mBillionth Award for innovations in mobile communication in South Asia. The award was accepted by our Consultant Speech and Language therapist, Milind Sonawane at the ceremony in New Delhi.